Have you heard about the new word processing application for lawyers? No matter which font you use, everything comes out as fine print. than someone who has been in your shoes. As a legal professional, your time is best spent serving your clients and growing your practice. You should never have to worry about updating applications, patching software, and securing firewalls. That is where we come in. Exactify.IT offers tailor-made legal IT services that are scalable, customizable, effective, and cost efficient. Our engineers understand what resources you need because we are attorney-founded and cater exclusively to attorneys. This multidisciplinary approach allows us to manage your IT and support your firm in a way that fits your unique needs as an attorney. A virtual chief information officer can manage your technology infrastructure so your team can work effectively and efficiently. As a result, you free up billable hours, stay competitive, and have your technology work for you rather than vice-versa. Exactify.IT serves law firms, solo practitioners, in-house corporate legal departments, legal nonprofits, and other legal services organizations of all sizes and types. From the office to the courtroom, we can make your practice more productive and dynamic. If you’d like to learn more, schedule a consultation, or contact us by completing the form below. Exactify.IT was founded by Sabir Ibrahim. Sabir has over ten years of experience as an attorney in the Silicon Valley technology sector. Over the course of his career, he has specialized in technology licensing, commercial transactions, product counseling, patent prosecution, and patent litigation. He has handled complex technology-related legal matters on behalf of clients in numerous industries, including technology, health care, automotive, entertainment, biotechnology, and others. He has worked in large law firms, small law firms, large in-house legal departments, and small in-house legal departments. Through his experience as an attorney in the technology sector, Sabir developed a deep understanding of both the substantive aspects of the law as it relates to technology and the ethical and legal obligations that attorneys face in their use of technology. He understands first-hand the technology needs of legal professionals and how they operate on a day-to- day basis, as well as the requirements and expectations of clients on how their attorneys handle their data. Sabir is also a lifelong “techie” with a background in IT. He founded an IT consulting firm prior to attending law school and served clients in various industries including finance, legal services, technology, and real estate. He learned to code as 9 year-old in 1989 and has worked on technology-related projects throughout his entire life. He has a knack for tinkering with technology and has voided the warranty on practically every device he has ever owned. He has an obsession with trying to make technology work better and solve problems in the most efficient and trouble-free way possible. 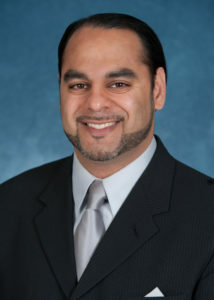 Sabir received his JD from the University of Michigan Law School in 2007, where he was an article editor for the Michigan Telecommunications and Technology Law Review. 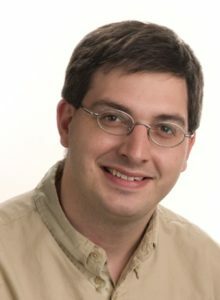 He received his BSE in Computer Science from the University of Michigan College of Engineering in 2003. Ernest Murry is Chief Technology Officer of Exactify.IT. Ernest has over 25 years of experience in the IT sector and has overseen IT services and infrastructure for businesses in a variety of industries. He has built and managed teams of IT specialists, led complex cross-platform projects, and developed mission-critical systems and processes. Prior to joining Exactify.IT, Ernest was CTO of Ernest.Solutions, a managed services provider that served small- to medium-sized businesses in the Portland, Oregon area. As founder of Ernest.Solutions, Ernest developed a keen understanding of how to assess the IT needs of small businesses and communicate strategies and implementation plans to non-technical personnel and management teams with no in-house IT specialists. He knows first hand the importance of understanding the goals, priorities, and pain points of customers in order to develop solutions that most effectively serve their needs. As a lifelong entrepreneur, he understands that businesses cannot scale effectively if their IT operations are not structured to ensure efficiency and ease of use. Ernest also has an extensive background in supporting 911 communications centers and emergency dispatch systems. He has a deep understanding of IT environments in which security and reliability are literally matters of life and death. Through his experiences, Ernest developed a passion for cybersecurity and always-available infrastructure. At Exactify.IT, Ernest leverages his expertise to design solutions that apply the highest standards of security and reliability to all types of systems.